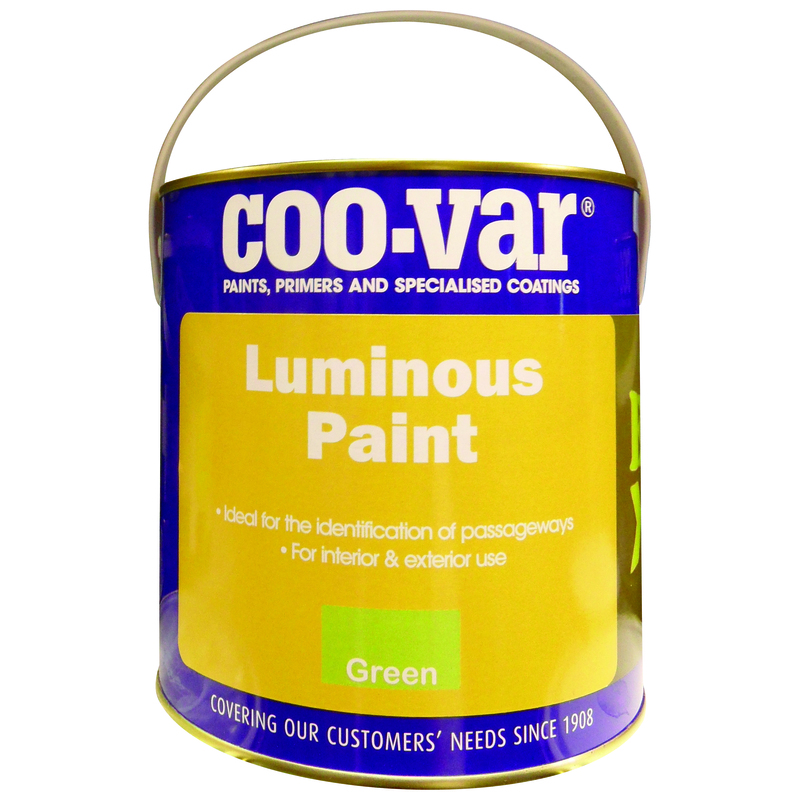 Coo-Var Luminous Paint glows in the dark after exposure to light. A fast drying water based paint which appears to glow in the dark for a limited period, (around 30 minutes) when lights fail. Provides a simple and safe way to identify exits and harzards etc in darkness. Must be used with its foundation base, we also recommende the use of the luminous clear protective on top, translucent pale green. Finish: Matt translucent pale green.